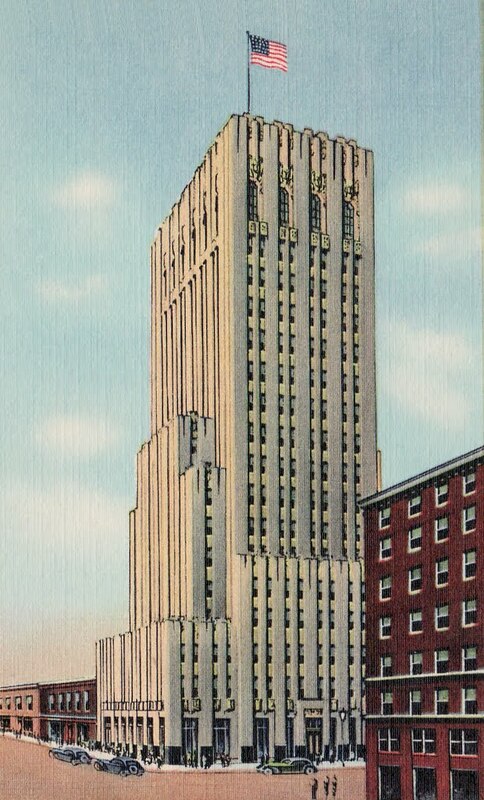 Such an incredible building, designed by architects Lang & Witchell in the zig-zag moderne/Art Deco style and built in 1931 to house the corporate offices of the Dallas Power & Light company. I wondered from that night scene whether the building was illuminated at night, and it was. 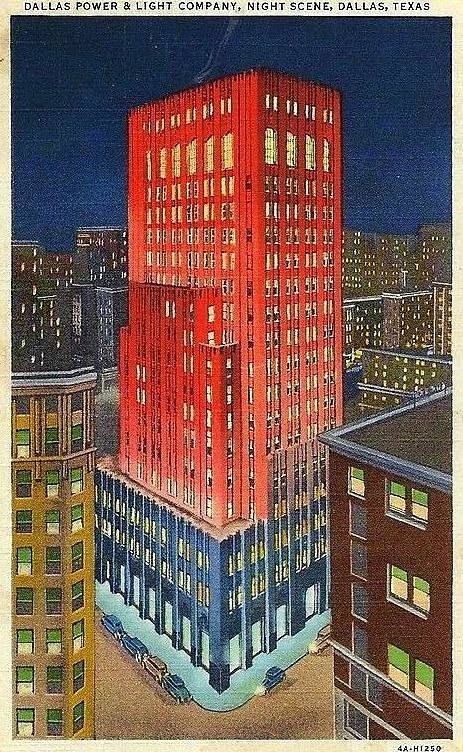 From the city’s application to the National Register of Historic Places: “The building was spotlighted with revolving colors at night, emphasizing it as a downtown landmark; this was discontinued during the energy crisis in 1975.” Argh! This is a building that is beautiful by night and beautiful by day. A detailed description of the architectural elements of the DP&L building is in a PDF containing the city’s application of several buildings to be considered for the National Register of Historic Places. The section on the DP&L building begins at page 68 and can be found here. A photo of one of the portrait busts on the facade of the building is a nod to Thomas A. Edison, King of Electricity, and it can be seen here in an almost Hitchcockian cameo.